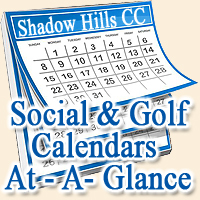 For more than 40 years Shadow Hills has been blessed by Harriet Smith’s membership. In the early days, as Harriet and her husband Wayne became thoroughly committed golfers, they also participated in the tree planting and fairway rock removal efforts supplied by Shadow Hills Founders. 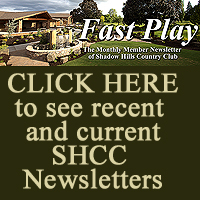 Following Wayne’s instruction to hang on to their Shadow Hills membership, Harriet survived her early widowhood and thrived in the warmth and wholesome activity of Shadow Hills Country Club. Serving on committees, scoring for tournaments, organizing an annual women’s event, playing bridge, enjoying most evening social gatherings, encouraging new golfers, and reliably greeting and welcoming new members, Harriet participated as long as she was able. Although Harriet could no longer play golf, she maintained a golfing membership to the end. 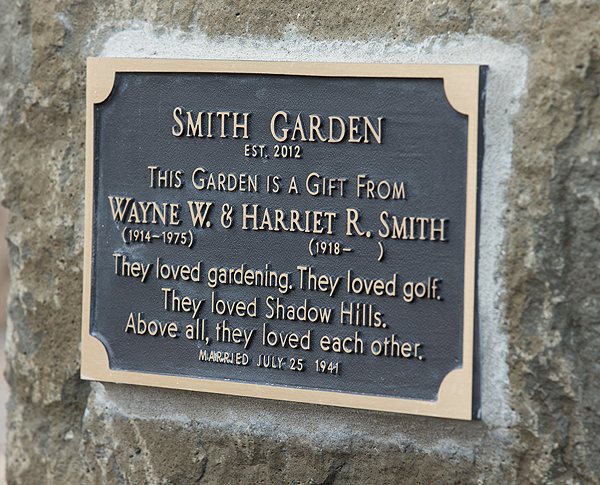 The Smith Garden, named in her and Wayne’s honor, represents the very generous monetary gift with which she joined Gene Gustafson’s fund raising effort and without which Shadow Hills New Clubhouse would not exist. We are all beneficiaries and will miss her. Harriet died on New Years Day 2016; she was 97 years. In lieu of flowers, please donate to Sacred Heart Hospice, PO Box 10905, Eugene, Oregon 97440 or to a charity of your choosing. PLEASE NOTE- parking at Terpening Terrace for Harriet’s Celebration of Life is limited. It would be good if folks parked at Albertson’s and crossed River Road at the light or at the PeaceHealth Santa Clara office that is on the same side of the street as Terpening. This will make it easier for those attending who are disabled, or less able to walk longer distances. The dress for the service is “golf course casual.” The SHCC dining room dress code would apply in this situation. Please feel free to leave your remembrances of Harriet in the comments below. My parents, Bill and Lorraine Iseli, encouraged us to join Shadow Hills in 1990. One of the first people we met was their dear friend, Harriett Smith. Harriett was so welcoming that we immediately felt like this could become our home away from home. She was always so upbeat. We never heard her say a bad word about anyone or anything. Everyone was her friend. She will forever be in our hearts and I pray she is playing golf with Mom and Dad above us.